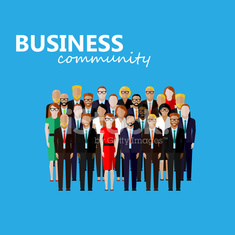 vector flat illustration of business or politics community. vector idea with coffee. busines background.